Let's push a few Acrosports out of the hangar and take a look at them in the Acrosport Gallery! 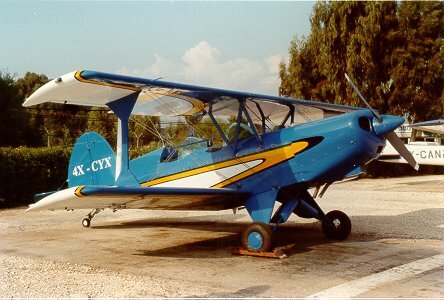 The Acrosport is a plans built aircraft that was designed by Paul Poberezny to provide an aerobatic platform while maintaining the polite manners necessary for cross country flying and safe landings. The Acrosport comes in single place and two place varieties. The pictures below illustrate some of the Acrosports that I've crossed paths with. 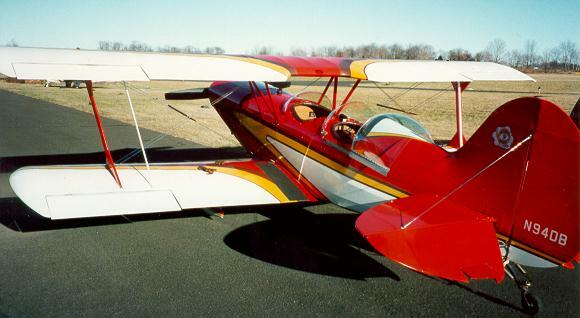 This beautiful Acrosport2 is owned by Tom Fox of Doylestown, PA. 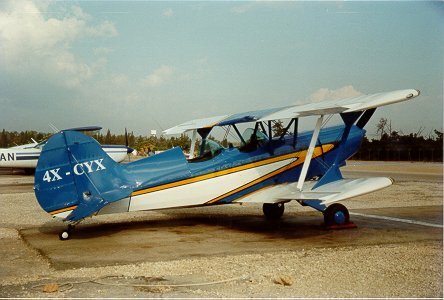 It was originally built by Dave Blanton and had a 4 cylinder Ford engine hung on it at one time, although it never flew with that engine to the best of my knowledge. 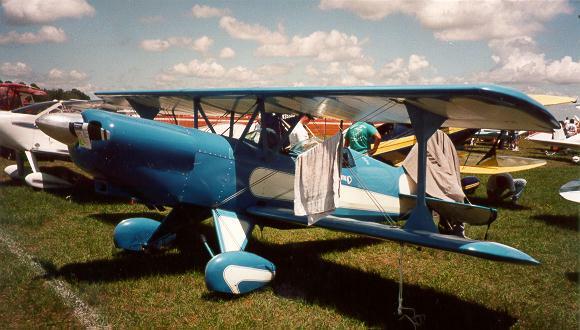 When Tom bought it, a Lycoming 320 was powering, but he has replaced that with a hopped up Lycoming 360, probably putting out a bit over 200 HP! 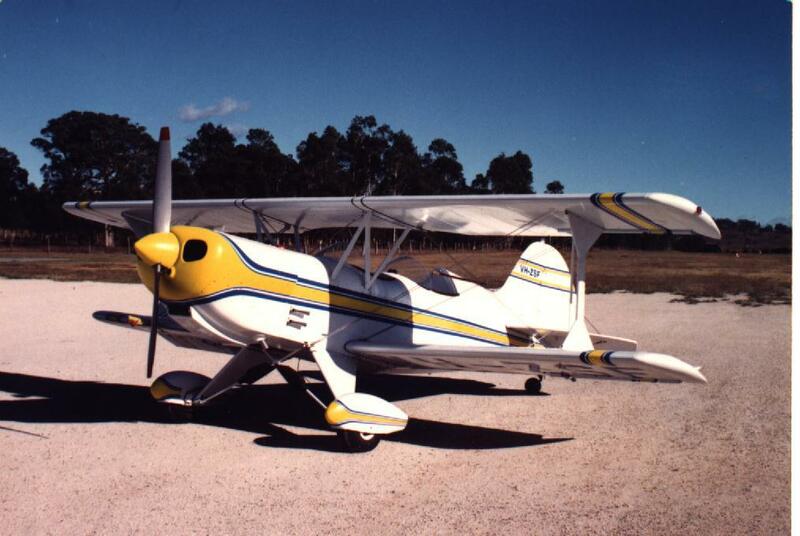 This sharp Acro Sport II is now owned by Gary Thomas and lives in Florida near Pensacola. It was originally built by Nick Nickles. This picture was taken at Sun-n-Fun 2000. 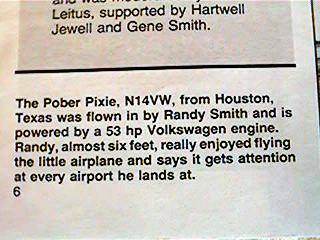 There are some more pictures of this plane on the "Details" page. Here is an AcroII belonging to Ralph Gjoen which is based not far from me at Lake City, Florida. I discovered the plane at the Lake City Airshow (not the prettiest day) this past fall and have been able to scrutinize it to figure out various details on several occasions due to its close proximity. Very handy! There are more pictures of some of the details on this plane in the "details section" of this page that may be useful to builders. 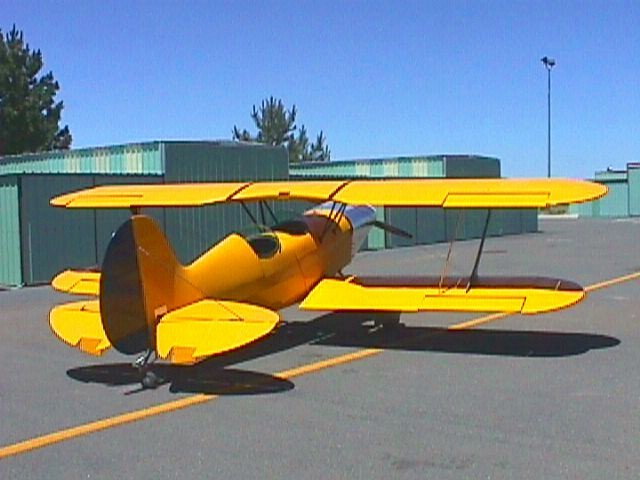 Below is a picture of John Flanagan and his Acrosport II, located in upstate NY. It's a project that has been finished in the last couple of years and has a beautiful finish. Dave McCord just finished his bird in the fall of 1998 and is having way too much fun flying it! He has almost as much yellow paint as I hope to have on my airplane someday. 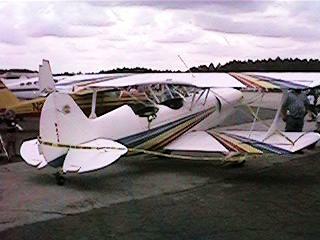 Here's an Acrosport2 that was visiting the Sun-n-Fun Flyin a couple of years ago. I don't know who the owner was, but it was for sale at the time. 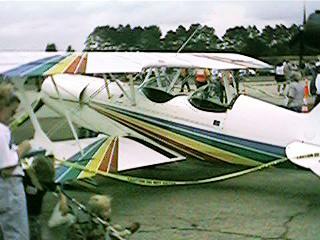 Here is Bob Mcquirk's Acrosport2, also at Sun-n-Fun. 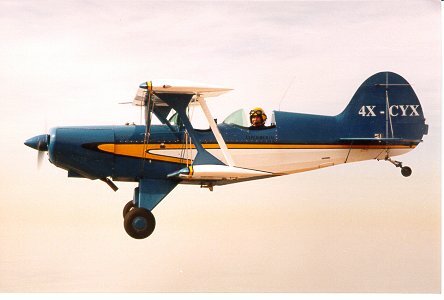 Bob flew in from Texas in his beautiful Acro, equipped for at least basic IFR. 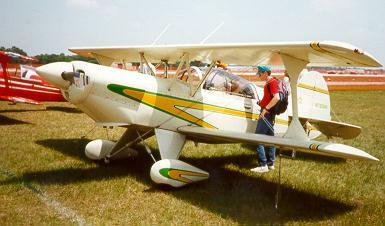 These are a couple of shots of Bill Freckmans ASII at the Kerrville Texas fly-in (1997). Bill's Acrosport has been finished for a couple of years and still glistens like the day she was new! Lloyd Shepherd's looks great - Flies too! 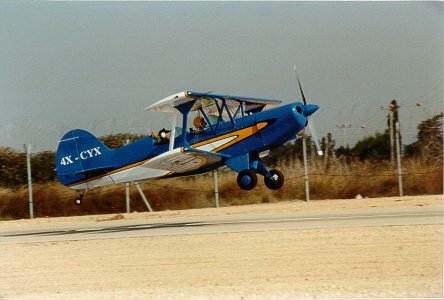 Rudi Bertocchi's AcroII is based in Israel (if you couldn't guess from the tail numbers)! 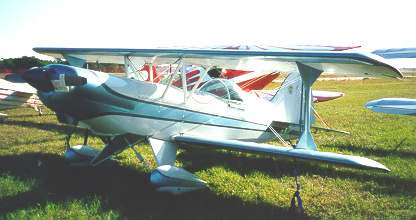 Another Acrosport Design is the Pober Pixie: The example shown here was built by Randy Smith, who is now building an Acrosport 2.